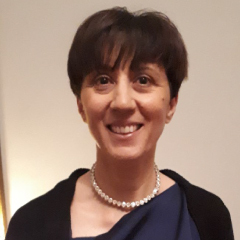 Marina Di Camillo has been teaching as a collaborator of LUISS Business School and LUISS Guido Carli University, since 2012. She teaches Corporate Strategy, Case-Based Learning and Entrepreneurship. She is leading the Adventure Lab of LUISS Creative Business Center, an accelerator of business ideas based on Design Thinking and Agile Methodologies. Marina has served several roles in Strategy, Finance and HR in the main Italian Telecom operators and has more than 10 years of experience in management consulting, mainly built within Bain & Co. – a leading International consulting firm – in several industries (IT & Telco, Media, Energy & Utilities, Government and P.A., Education). She advices Board, CEO and Leadership team to achieve digital transformation, business development, knowledge and learning innovation, optimization, funding, Partnership and M&A. In 2015, Marina took part at “In the Boardroom” of ValoreD and G.E. Capital in partnership with Egon Zehnder and Linklaters. In the Boardroom program is dedicated to junior-executive women to be connected with talented senior-executive women members of Board and CEO of listed company. Marina is co-founder and member of strategic committee of noprofit organization. She has been Managing Director of an NGO, funded by UE projects (6 mln Euro projects per year). She has recently joined +Acume, a leading International Social-Fund, being part of the leadership team active in Sweden, where she lives with her family. At Stockholm School of Economics, she get the opportunity to lead the Human Centered Design course, based on the Stanford d.school method, and to support the Hult Prize Swedish Contest, in partnership with Hult International Business School and Clinton Global Iniziative.